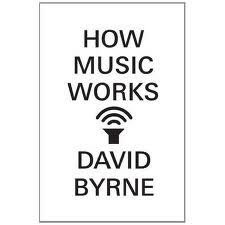 Vidunderlige David Byrne! 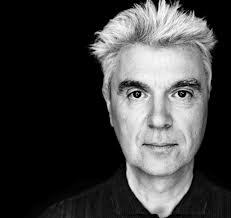 Mannen som står bak to av historiens aller flotteste musikkalbum, Talking Heads' "Remain in light" og "My life in the bush of ghosts" (sammen med Brian Eno) har skrevet en glitrende, innsiktsfull, spennende, oppsummerende, analyserende og helt sann (sic!) bok om musikken, livet, tilværelsen og musikkbransjen. Omtrent. Jeg kan ikke få anbefalt boken hardt nok. Drit i formater, musikken vinner, sier han blant annet. Omtrent som meg her. Høm-høm. "... John Carey pretty much demolishes the idea that appreciating high art - and I am going to assume we can transfer his arguments concerning fine art to music - is inherently good for you. 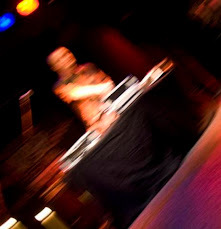 How, he asks, can anyone believe that art (or music) encourages moral behavior? He concludes that assigning moral acuity to those who like high art is generally class-based. "Meanings", he writes, "are not inherent in objects. They are supplied by those who interpret them. High art is that which appeals to the minority whose social rank places them above the struggle for mere survival." The fact that such art has no practial use - or none that is acknowledged - heightens its appeal. This line of reasoning leads him to the following conclusion about the art-builds-character attitude: "One is saying, "What I feel is more valuable than what you feel". In assuming that high art makes life worth living, there is an inherent arrogance toward the masses of people who don't partake of such forms... and an assumption that their lives are not worth as much, not as full. The religion of art makes people worse - because it encourages contempt for those considered inartistic." Although the idea is continually espoused that art is for all and that all can benefit from it, I wouldn't say that the presentation of art is entirely democratic. Though seemingly benign, too often it's a top-down version of culture. We want you all to look at it, and listen to it and appreciate it, but don't even think you could ever make it yourselves. Moreover, what has been deemed "real art" has nothing in common with the reality of your daily life. Twentieth-century British art critic Clive Bell wrote, "To appreciate a work of art we need to bring with us nothing from life, no knowledge of its ideas and affairs, no familiarity with its emotions". "Quality" works are said to be timeless and universal. People like Bell think that they would be good in almost any context. The Scottish Enlightenment philosopher David Hume insisted that an unvarying standard exists, and that " it has been universally found to please in all countries and in all ages". The implication is that great work should, if it is truly great, not be of its time and place. We should not be aware of how, why, or when it was conceived, received, marketed or sold. It floats free of this mundane world, transcendent and ethereal. This is absolute nonsense." Utrolig godt å lese for en selvlært men entusiastisk støytronicamusiker!